The Info-communications Media Development Authority (IMDA) is the converged regulator for the info-communications and media sectors, and is responsible for the development, promotion and regulation of the info-communications industry, which includes both the telecoms and IT sectors. The IMDA is under the direct authority of the Ministry of Communications and Information (MCI). At present, the telecoms and media sectors are governed by separate regulatory frameworks. The telecoms sector is regulated by the IMDA under the Telecommunications Act (the Telecoms Act) and the Info-communications Media Development Authority Act 2016 (the IMDA Act). [A] transmission, emission or reception of signs, signals, writing, images, sounds or intelligence of any nature by wire, radio, optical or other electro-magnetic systems whether or not such signs, signals, writing, images, sounds or intelligence have been subjected to a rearrangement, computation or other processes by any means in the course of their transmission, emission or reception. The Telecoms Act is the primary legislation governing the telecoms industry in Singapore. It sets out the broad licensing and regulatory framework for the telecoms sector. Specific issues are dealt with through regulations, codes of practice, standards of performance, directions and advisory guidelines issued by the IMDA, pursuant to its powers under the Telecoms Act. The Telecoms Act itself does not make a distinction between fixed, mobile and satellite services. This is consistent with the technology-neutral approach that the IMDA has taken in regulating the industry. There are, however, licensing and regulatory requirements that are service-specific. For instance, the Telecommunications (Radio-Communications) Regulations (Radio-Communications Regulations) regulate the licensing process for radio frequency (RF) spectrum, the use of RF spectrum and the operation of radio stations and networks. This set of regulations is applicable primarily to mobile services. Other regulations cover specific issues pertaining to fixed, mobile and satellite services. Examples of such regulations are the Telecommunications (Class Licence) Regulations, the Telecommunications (Dealers) Regulations and the Telecom Competition Code 2012 (TCC). The TCC regulates competition, interconnection and market access across the entire telecoms industry. At present, the Telecoms Act does not apply to the licensing of any broadcasting service or any broadcasting apparatus that is already subject to regulation under the Broadcasting Act. Since 1 April 2000, no direct or indirect foreign equity limits have been applicable to telecoms licences. However, other than in exceptional circumstances, the IMDA’s current practice is to issue facilities-based telecoms licences only to companies incorporated in Singapore, which can be wholly owned by a foreign entity. In the case of services-based licences, the IMDA would also issue licences to foreign companies with a local registered branch. Merger and acquisition control regulations exist under the TCC. All persons operating and providing telecoms systems and services in Singapore must be licensed under section 5 of the Telecoms Act. The IMDA categorises licences for the operation and provision of telecoms systems and services into licences for either facilities-based operators (FBOs) or services-based operators (SBOs), and where RF spectrum is required for the provision of wireless services, additional licensing is required under the Radio-Communications Regulations. A person intending to deploy telecoms infrastructure (generally taken to refer to any transmission facility) to provide telecoms services to other telecoms licensees or end users must obtain an FBO licence. The IMDA generally adopts a technology-neutral approach towards the licensing of telecoms infrastructure. The configuration of the systems deployed and the technology platform (wireless or wired) adopted will be left to the choice of the licensee, subject to spectrum and other physical constraints. An FBO licence is on a higher hierarchical level than an SBO licence. As such, an FBO licensee does not need an SBO licence if it wishes to provide services that on their own would have required an SBO licence. The converse, however, does not apply. An SBO licensee that wishes to deploy telecoms infrastructure in the provision of telecoms services must apply for an FBO licence. The FBO licence will then replace the SBO licence. Although the general conditions of an FBO licence are standardised across all FBO licensees, additional specific conditions may apply to each individual FBO licensee depending on the services that the licensee may provide. satellite uplink/downlink for broadcasting purposes. Licence duration: 15 years, renewable for a further period as the IMDA thinks fit. above S$100 million in AGTO: 1 per cent of incremental AGTO. Licence duration: 20 years, renewable for a further period as the IMDA thinks fit. above S$100 million in AGTO: 1 per cent of incremental AGTO . Licence duration: 10 years, renewable for a further period as the IMDA thinks fit. Licence duration: 10 years, renewable every 5 years. SBO licences are granted to operators that do not intend to deploy telecoms infrastructure. Such licensees may instead lease telecoms network elements (such as transmission capacity) from FBO licensees to provide telecoms services, or resell the telecoms services of other telecoms licensees. SBO services can be individually licensed or class-licensed. Class licensing is a licensing scheme where the standard terms and conditions that apply to the category of licences are published in an official gazette for compliance. Operators providing the services within the scope of the class licence will be deemed to have read and agreed to the terms and conditions of the class licence. Generally, operators leasing international transmission capacity to provide telecoms services will be licensed individually. Certain services, such as audio-text and internet access services, are subject to concurrent telecoms and media licensing requirements. In this respect, audio-text and internet access services are also deemed to be class-licensed under the Broadcasting (Class Licence) Notification (see also question 19). above S$100 million AGTO: 0.8 per cent of incremental AGTO. Pursuant to its exclusive privilege under the Telecoms Act, the IMDA can determine how RF spectrum is allocated. The IMDA can also make decisions on the assignment of unused radio spectrum. Specifically, the Radio-Communications Regulations give the IMDA the right to prepare and publish radio spectrum plans and RF band plans. The Radio Spectrum Master Plan is a document prepared by the IMDA pursuant to such statutory right and it serves to inform the industry and interested parties on the allocation and availability of spectrum, technological trends in the use of spectrum and the IMDA’s policy with regard to spectrum allocation and reallocation for public communication networks. At the time of writing, the Radio Spectrum Master Plan is in the process of being updated by the IMDA, and the updated version has yet to be published. The IMDA is also empowered under the Radio-Communications Regulations to vary or revoke any radio spectrum plan or RF band plan, in whole or in part. RFs required for the provision of 2G, 3G and 4G mobile services, as well as wireless broadband services, have been granted as spectrum rights through an auction process. RFs required for the operation of a satellite are generally allocated administratively or assigned by the IMDA as part of the satellite licence. The Radio-Communications Regulations also regulate the installation and maintenance of radio communications stations or networks in Singapore. Regarding the permitted use of licensed radio spectrum, the general powers of section 5A(8) of the Telecoms Act and regulation 10(i) of the Radio-Communications Regulations give the IMDA the discretion to direct the grantee concerning its use of the spectrum right. Additionally, the grantee may be restricted in its use of equipment within the allocated RF spectrum. For example, no station fitted in an aircraft shall be operated or used while such aircraft is at rest on land or on water in Singapore, barring certain exceptional circumstances as stated in regulation 36 of the Radio-Communications Regulations. Since 1 April 2000, subject to the IMDA’s licensing requirements, any person may apply to the IMDA for a licence to provide telecoms services to the public. There are no special conditions imposed by the IMDA for such services. A holder of an FBO licence may, however, depending on the scope and requirements of its operations, apply to the IMDA to be designated as a public telecommunications licensee (PTL) under section 6 of the Telecoms Act. A PTL is accorded certain statutory powers under the Telecoms Act to facilitate the deployment of telecoms infrastructure, including the power to enter state and private property to lay telecoms infrastructure. The IMDA will grant such applications only if the FBO licensee has committed to substantial telecoms infrastructure investment and roll-out so as to offer services to a significant proportion of the population within a reasonable time. At present, four licensees have been designated as PTLs (namely, NetLink NBN Management Pte Ltd (as trustee-manager of NetLink NBN Trust) and NetLink Management Pte Ltd (as trustee of NetLink Trust) as joint licensees, Singtel, StarHub and StarHub Cable Vision). The IMDA also reserves the right to impose basic service obligations on a PTL. The IMDA may modify the conditions of a telecoms licence granted under section 5 of the Telecoms Act. The procedure to be followed is set out in section 7 of the Telecoms Act, which prescribes that, in the case of a PTL licensee, the IMDA first has to give notice to the PTL licensee of the proposed modifications to the licence, including whether compensation is payable. Before finalising any direction to implement the licence modifications, the IMDA is also required to give PTL licensees at least 28 days to make written representations on the proposed modifications. In the case of a non-PTL licensee, the Telecoms Act does not set out the procedure to be followed in relation to the modification of the licence. Instead, the modification procedure of a non-PTL licence is typically set out in the relevant licence. Under the terms of their licences, telecoms licence holders may not assign, transfer, deal with or otherwise dispose of the whole or any part of the rights, privileges, duties or obligations under the licence without obtaining the prior written approval of the IMDA. Operators providing public Wi-Fi services may require a telecom licence granted by the IMDA, as well as a broadcasting class licence (see question 19). However, commercial establishments that are open to the public and that merely provide Wi-Fi to customers within their own premises for purposes incidental to their primary business may be exempted from telecom licensing requirements. In 2006, the Singapore government launched the Wireless@SG programme, in partnership with private sector operators, to deploy wireless hotspots in public areas in Singapore to provide high-speed wireless broadband. The Wireless@SG programme aims to promote a wireless broadband lifestyle among citizens. At present, the five licensed Wireless@SG operators are: Singtel, StarHub, M1, MyRepublic and Y5Zone. Businesses, venue owners or tenants that wish to provide free Wi-Fi to their premises may enter into commercial agreements with the Wireless@SG operators for this purpose. The IMDA manages the allocation and usage of spectrum for various services, including public mobile, private land mobile, terrestrial fixed and broadcasting services. As such, spectrum licences generally specify that licensees can only use the assigned spectrum for the specified purpose. Conditions requiring the network to be operated on a non-interference and unprotected basis, and limiting the operation to specific geographical locations, may also be imposed. the IMDA reserves the right to impose quality of service requirements on the 4G and IMT-Advanced systems and services, as well as other measures to protect consumer interests. Licensed RF granted under a spectrum right may be traded and shared, subject to the IMDA’s prior approval, TCC provisions and any restrictions and conditions specified by the IMDA. At present, the IMDA has not issued any specific regulations on the trading and sharing of RF, aside from general conditions stated in the Radio-Communications Regulations. Conditions on trading and sharing of RF may also be imposed via the licences or relevant spectrum rights. Ex-ante regulations are primarily applied to licensees that are classified as ‘dominant licensees’ under the TCC. Under section 2.2.1 of the TCC, a licensee will be classified as ‘dominant’ if it is licensed to operate facilities that are sufficiently costly or difficult to replicate such that requiring new entrants to do so would create a significant barrier to rapid and successful entry into the telecommunication market in Singapore by an efficient competitor; or it has the ability to exercise significant market power in any market in Singapore in which it provides telecommunications services. In this regard, dominant licensees are subject to a range of ex-ante obligations under the TCC, such as accounting separation requirements; obligations to file tariffs with the IMDA for approval; to provide unbundled services; and to allow resale of end-user services by any licensee. Dominant licensees may also be required to offer certain interconnection and access-related services on terms that are pre-approved by the IMDA, by way of a standardised reference interconnection offer (RIO). These obligations are further explored in greater detail below. Unless exempted by the IMDA, dominant licensees must file tariffs for any telecommunications service they intend to offer (including any offer on a trial basis) with the IMDA and obtain the IMDA’s prior approval before offering the service. The proposed tariff filing must include certain specified information, including a description of the service; the relevant prices, terms and conditions; any discounts or special considerations that will be offered; and the minimum time period for which the service will be available. The IMDA will assess whether the proposed tariff is just and reasonable in accordance with the principles in the TCC. If required by the IMDA, dominant licensees must also publish RIOs, under which they have to offer interconnection and access-related services on prices, terms and conditions that are pre-approved by the IMDA. A downstream operator that meets the relevant criteria may then request services from the dominant licensee under the terms of its RIO. Presently, Singtel (which is the incumbent fixed-line network operator and also operates a number of telecoms facilities such as submarine cable landing stations) and NetLink Trust (whose assets include central offices, ducts and manholes) have been required to offer RIOs pursuant to the TCC. In the context of the next-generation nationwide broadband network (NGNBN), the IMDA has also imposed similar obligations on the appointed network and operating companies to make available certain mandated services to qualifying persons under the terms of standardised interconnection offers (ICOs) (see question 5 for more details on the appointed network and operating companies). Dominant licensees are subject to the IMDA’s Accounting Separation Guidelines, which provide for two levels of accounting separation: detailed segment reporting and simplified segment reporting. The accounting separation requirements are intended to provide the IMDA with information to monitor cross-subsidisation by dominant FBOs, as well as to ensure that services provided internally by dominant FBOs to their downstream operators or affiliates are provided on similar terms to equivalent services provided to other unrelated licensees. Briefly, detailed segment reporting involves separate reporting of key service segments and certain individual retail services. The requirements include a specified cost allocation process and prescribed allocation methodologies for certain cost and revenue items. Reports include both income statements and mean capital employed statements. In contrast, simplified segment reporting requires less disaggregation of operations and a less rigorous cost allocation process. Only income statement reporting is required. To ensure effective open access of the NGNBN infrastructure for downstream operators, the IMDA has put in place structural separation and operational separation requirements on the network and operating companies (see question 5). Under Part VA of the Telecoms Act, all designated telecommunication licensees (DTLs), designated business trusts (DBTs) and designated trusts (DTs) are required to comply with merger control requirements. Where a transaction meets the specified pre-merger filing thresholds, generally, where the transaction would result in a party and its associates becoming either a 12 per cent controller (ie, holding 12 per cent or more); or a 30 per cent controller (ie, holding 30 per cent or more), of the ownership or voting power in a DTL, DBT or DT, the IMDA’s prior approval must be sought for the transaction. In addition, the IMDA must be notified if a transaction would result in a person holding 5 per cent or more but less than 12 per cent of the ownership or voting power in a DTL, DBT or DT. Under certain circumstances, the IMDA may require an FBO licensee (which may not be a dominant licensee) to ‘share’ its infrastructure with other licensees. As provided under section 7 of the TCC, the IMDA may require sharing of any infrastructure that it determines is ‘critical support infrastructure’, or where the IMDA concludes that sharing would be in the public interest, in accordance with the principles in the TCC. Generally, the IMDA does not require structural or functional separation between an operator’s network and service activities in Singapore. However, in relation to the NGNBN industry, the IMDA has, with a view to ensuring effective open access for downstream operators, instituted a multilayered industry structure consisting of: the network company (NetCo); several operating companies (OpCos) including the appointed OpCo; and numerous retail service providers. At the first layer, the NetCo appointed by the IMDA is responsible for building and operating the passive infrastructure, which includes the dark fibre network. OpenNet Pte Ltd was the initial NetCo appointed by the IMDA. The assets and operations of OpenNet have since been taken over by NetLink Trust (acting through its trustee, NetLink Management Pte Ltd), following NetLink Trust’s acquisition of OpenNet effective 1 October 2014. In July 2017, 100 per cent of the units in NetLink Trust were acquired by NetLink NBN Trust (acting through its trustee-manager, NetLink NBN Management Pte Ltd). Under the conditions of the FBO licence held jointly by NetLink NBN Management Pte Ltd (as trustee-manager of NetLink NBN Trust) and NetLink Management Pte Ltd (as trustee of NetLink Trust), the NetCo is required to ensure structural separation, which involves, among other things, ensuring that it has no effective control over any other telecoms licensee or broadcasting licensee; it is not under the effective control of any other telecoms licensee or broadcasting licensee; and it is not under the effective control of the same controlling entity as any other telecoms licensee or broadcasting licensee (the ‘no effective control’ requirements). These requirements are intended to ensure that the NetCo and its downstream operators are separate entities with fully autonomous decision-making considerations, and that they do not have control over each other’s management and major operating decisions. At the second layer, Nucleus Connect Pte Ltd (Nucleus Connect), the appointed OpCo, is responsible for building and operating the active infrastructure, comprising switches and transmission equipment, to provide wholesale network services. While Nucleus Connect may be owned by its downstream operating units, it is nevertheless subject to a range of detailed operational separation requirements under its FBO licence conditions. The operational separation requirements are intended to ensure, among other things, that downstream operators are treated in a non-discriminatory manner; that Nucleus Connect independently formulates and makes its own commercial decisions; and that it operates at arm’s length from affiliated operators. Section 69C of the Telecoms Act also empowers the Minister for Communications and Information (the Minister), if certain conditions are met and in the public interest, to issue a separation order requiring the transfer of a telecom licensee’s business or assets to a separate or independent entity. The Telecoms Act provides for the imposition of universal service obligations (USOs). Generally, USOs are applied only to PTLs. For example, Singtel, the incumbent telecoms operator, is required under its licence to provide basic telephone services to any person in Singapore who requests such service. In respect of the NGNBN, which is intended to deliver high-speed broadband access throughout Singapore, the IMDA has imposed USOs on both the appointed NetCo and OpCo following the creation of the NGNBN. The NetCo’s USO took effect from 1 January 2013. The NetCo’s USO obliges it to fulfil all requests to provide its fibre services to all locations in Singapore. Correspondingly, the OpCo must meet all reasonable requests by any operating company or downstream retail service providers for access to a basic set of wholesale services offered under its standard ICO. Compliance with USOs is not financed by a statutorily created fund (such as universal service funds in other jurisdictions) or contributions from industry. The IMDA administers the number allocation scheme in Singapore in accordance with its National Numbering Plan. Among other things, the National Numbering Plan sets out rules and guidelines for the use and assignment of numbers to telecommunication services delivered over the public switched telephone network (PSTN), the radio network and the internet or other IP-based networks; and describes the assignment of numbers to international services, trunk service, emergency services and special services such as voice mail and intelligent network (IN) services. There is only one numbering area in Singapore and area or trunk codes are not used. The PSTN, radio network and IP telephony share the same numbering plan - a uniform eight-digit numbering plan. Numbers are allocated to various service categories according to the first digit. Those beginning with the digit ‘0’ are reserved for international services; ‘1’ for special services, including calls for operator assistance, service enquiry, machine-to-machine, internet dial-up, voice information, IN services and access code international direct dial type of services; ‘3’ for IP Telephony services; ‘6’ for PSTN and IP Telephony services; ‘8’ and ‘9’ for eight-digit Radio Network numbers; and ‘99’ for three-digit emergency services. Number portability across mobile networks and fixed-line services is obligatory. Fixed-line and mobile telephony operators are required to allow consumers to retain full use of their existing phone numbers when switching service providers. In addition, IP telephony operators utilising level ‘6’ numbers (ie, Singapore telephone numbers beginning with ‘6’) are subject to the same number portability requirements as fixed-line operators. Syniverse Technologies is the centralised database administrator appointed to operate the centralised number portability database system, starting with the launch of full mobile number portability in June 2008. The IMDA has published a document entitled the ‘Fixed Number Portability Guidelines’ to set out the technical approach to fixed number portability by FBOs offering a fixed-line voice service. Retail tariffs filed by dominant licensees for approval with the IMDA must include information relating to the customer terms and conditions (see question 4 for more details). Section 3 of the TCC also sets out a number of consumer protection-related provisions with which all FBOs and SBOs must comply. These include provisions relating to minimum quality of service standards (and disclosure to end users of any lower standards agreed to); disclosure of prices, terms and conditions (including for services provided on a free trial basis); restrictions on service termination; and prohibition against charging for unsolicited telecoms services. Section 3 of the TCC also includes a number of mandatory contractual provisions that must be included in all FBOs’ and SBOs’ end-user service agreements (ie, service contracts with business or residential subscribers). These include provisions relating to billing cycles; the prices, terms and conditions upon which service will be provided; procedures for disputing charges; and termination or suspension of service. The IMDA also has the right under the FBO and SBO licences to require licensees to file their schemes of service, including non-price terms and conditions for the provision of services, with the IMDA before the launch or announcement of such services. they are allowed to offer niche or differentiated services that meet the IMDA’s information transparency, minimum quality of service and fair competition requirements. In particular, the IMDA recognised that, in order to promote the development of online services, ISPs and network operators must be given the flexibility to manage their networks or differentiate their service offerings to meet the needs of changing customer demands or niche user groups. At the same time, such flexibility cannot result in discriminatory practices that render legitimate internet content effectively inaccessible or unusable. In this respect, the IMDA has indicated in its decision that it intends to deal with any complaints on a case-by-case basis. In connection with the above, the IMDA requires residential fixed broadband internet access service providers to publish, on their websites, information about their respective network management policies (including whether traffic shaping is implemented). While there are no express laws or regulations that prevent ‘zero-rating’ of data transmission by certain services or applications or bandwidth ‘throttling’ per se, ISPs would nevertheless need to comply with the general principles set out under the IMDA’s framework for net neutrality. 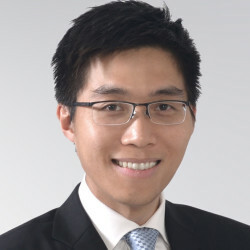 competition issues involving a digital platform may be governed by the general competition law as established under the Competition Act and which is administered by the Competition and Consumer Commission of Singapore (CCCS), or sector-specific regulatory frameworks as administered by the respective regulatory authorities. For example, competition issues that impact the telecoms and media sector may fall within the purview of the IMDA. The Competition Act provides that it does not apply insofar as another regulatory authority (other than the CCCS) has jurisdiction in a particular competition matter (see question 28). In relation to the areas of regulation listed above, there have not been any notable cases recently in which enforcement action was taken against an online digital platform. Notably, however, in 2015, the CCCS published two occasional papers that discussed various issues that may be of relevance to this area. The first, entitled ‘E-Commerce in Singapore - How it affects the nature of competition and what it means for competition policy’ highlighted a number of potential competition issues and observations in relation to e-commerce activities, including the use of various e-commerce platforms. The second, entitled ‘Anything wrong with asking for the best price?’, discusses the use of most-favoured nation (MFN) clauses, and includes observations on overseas cases in which MFN clauses have raised competition concerns, including cases that involved internet platforms. At present, NGNBN entities are regulated under existing telecommunications and media legislation, and through contractual obligations between them and the IMDA. In particular, the respective ICOs of NetLink Trust and Nucleus Connect, in fulfilment of their contractual obligation under their request-for-proposal bid commitment to the IMDA, set out the prices, terms and conditions upon which they would provide certain mandated NGNBN services. In addition, the IMDA has released specific regulations providing for licensing and regulatory frameworks in 2009 - namely the NetCo Interconnection Code (updated in 2017) and the OpCo Interconnection Code (updated in 2017) - to regulate the activities of the NetCo and OpCo respectively. The Interconnection Codes are the regulatory instruments underlying the ICOs and specify, inter alia, requirements related to the pricing, terms and conditions for the services offered by the NetCo and OpCo under their respective ICOs, as well as the obligations placed on both the NetCo and OpCo and persons requesting services from them. The obligations contained under the Interconnection Codes are in addition to those contained in the Telecoms Act, other statutes, regulations, directions, licences and codes of practice. The Singapore government has been keenly promoting the development of basic broadband infrastructure, application and services since the 1990s. Many initiatives have been put in place over the years to promote the establishment of nationwide broadband networks. The government has also devoted significant efforts to encourage the roll-out and take-up of NGA broadband services, in particular service offerings over the NGNBN. In 2015, the Singapore government launched the 10-year Infocomm Media 2025 master plan, which seeks to be a key enabler of the Singapore government’s vision to transform Singapore into the world’s first Smart Nation, by harnessing the power of technology including in the area of infrastructure (see question 16). In terms of government financial schemes for the promotion of a NGNBN, it was announced in December 2007 that the government would grant up to S$750 million for the development of this high-speed broadband network. This is part of the government’s intention to adopt a public-private partnership approach with regard to the building, ownership and operation of the network. In particular, the government hopes that more small firms will be able to offer online services without being burdened by the cost of building the network. In line with the promotion of NGNBN, the IMDA has also spearheaded other broadband initiatives, including the Singapore Internet Exchange (SGIX), which serves as a neutral internet exchange for local and international IP traffic. By establishing multiple nodes in different sites in Singapore as its core, the SGIX plays a significant role in the deployment of services over the NGNBN, allowing for the efficient exchange of traffic, reducing latency and ensuring sustainable, reliable transmission of bandwidth-intensive services to end users. To complement the NGNBN, a wireless broadband network has also been deployed in key catchment areas around Singapore: Wireless@SG allows end users to enjoy indoor and outdoor wireless broadband access in public areas. As part of the Singapore government’s Smart Nation vision, it is currently exploring the concept of a nationwide heterogeneous network (HetNet), which will allow devices to stay seamlessly connected throughout Singapore by hopping automatically across wireless networks, such as cellular and Wi-Fi networks. In this regard, the IMDA has worked with local mobile network operators and other industry players to conduct trials in order to validate technologies and capabilities of HetNet beginning from 2015. The IMDA has prescribed specific rules for the telecommunications sector. Section 3.2.6 of the TCC contains provisions that govern the use of end-user service information (EUSI) by all FBO and SBO licensees. Different provisions may apply, depending on whether the licensee is dealing with a business end user or a residential end user. The IMDA’s standard licence conditions also include provisions requiring licensees to ensure the confidentiality of customer information. Furthermore, with effect from 2 July 2014, the PDPA establishes a baseline standard of data protection for all private sector organisations in Singapore. Among other things, organisations are required to obtain an individual’s consent before collecting, using or disclosing his or her personal data, unless an exception in the PDPA applies. Other obligations under the PDPA include requiring that organisations make a reasonable effort to ensure that personal data they collect is accurate and complete, if the personal data is likely to be used by the organisation to make a decision that affects the individual or is likely to be disclosed by the organisation to another organisation; and requiring that organisations make reasonable security arrangements to prevent unauthorised access, collection, use, disclosure, copying, modification, disposal or similar risks. In addition, the PDPA established a ‘do not call’ registry with effect from 2 January 2014, which allows individuals to register their Singapore telephone numbers, in order to opt out of receiving telemarketing calls and messages. The Personal Data Protection Commission (PDPC), which is responsible for administering the PDPA, has also issued a set of advisory guidelines that specifically aims to address certain unique circumstances faced by the telecommunication sector in complying with the PDPA. The PDPA is not intended to override sector-specific data protection frameworks. To the extent of any inconsistency, the provisions of other written laws will prevail. In addition, the PDPA’s provisions on data protection do not affect any obligation imposed by or under law (except for contractual obligations), which may include regulatory obligations imposed under other written laws. Hence, licensees will need to ensure that they are in compliance with any sector-specific obligations such as the TCC, as well as the general framework under the PDPA. At the time of writing, the Computer Misuse and Cybersecurity Act (CMCA) is the primary legislation in Singapore dealing specifically with cybercrime activities. Among other things, the CMCA establishes various criminal offences relating to the unauthorised access or modification of computer material, and also empowers the Minister to authorise or direct the taking of measures to prevent, detect or counter any threat to a computer or computer service for the purpose of preventing, detecting or countering any threat to the national security, essential security or defence or foreign relations of Singapore. The CMCA was most recently amended in early 2017 to establish criminal offences for dealing in personal information obtained via cybercrime, as well as dealing in hacking tools. Upon the coming into force of the Cybersecurity Act 2018 (Cybersecurity Act) (see below) on a date yet to be announced, the CMCA will be renamed as the Computer Misuse Act. Oversight of critical information infrastructure: the Cybersecurity Act establishes, among other things, duties of the owners of critical information infrastructure (eg, duty to provide information, duty to comply with codes and directions, duty to conduct cybersecurity audits, duty to report incidents, duty to participate in exercises required by the Commissioner of Cybersecurity and duty to conduct cybersecurity risk assessments), and powers for the Commissioner of Cybersecurity to designate a computer or computer system as critical information infrastructure in 11 key sectors in Singapore. Response to cybersecurity threats and incidents: the Cybersecurity Act sets out powers for the Commissioner of Cybersecurity to investigate cybersecurity threats and incidents. Regulation of cybersecurity service providers: among other things, the Cybersecurity Act establishes a regulatory and licensing framework for cybersecurity service providers involved in the following two areas of work: penetration testing services that involve assessing, testing or evaluating the level of cybersecurity of a computer or computer system by searching for vulnerabilities in, and compromising, the cybersecurity defences of the computer or computer system; or managed security operations centre monitoring services that involve monitoring the level of cybersecurity of a computer or computer system by another person for the purpose of identifying cybersecurity threats. In Singapore, there is no legislation or regulation that specifically deals with big data per se. Rather, companies involved in big-data-related activities must ensure that they comply with existing data protection laws and regulatory frameworks as may be applicable, such as the PDPA and the Cybersecurity Act when it comes into force. The PDPA governs the collection, use and disclosure of personal data by organisations. All organisations that collect, use or disclose personal data relating to an individual are accordingly required to comply with the data protection provisions under the PDPA, unless an exception under the PDPA applies (see question 12). Currently, the PDPA requires organisations to notify and seek consent from individuals before their personal data may be collected, used or disclosed by organisations, unless an exception under the PDPA applies. However, the PDPC has recognised that increasingly, where huge volumes of personal data involving large numbers of individuals are collected rapidly and from a variety of sources, it may not be practical for organisations to seek individuals’ consent in every instance of data collection or processing, or to facilitate withdrawals of consent. In this regard, the PDPC published a public consultation paper titled ‘Approaches to Managing Personal Data in the Digital Economy’ on 27 July 2017, in which it proposed new bases for organisations to collect, use and disclose personal data in the absence of individuals’ consent. These include the proposed ‘Notification of Purpose’ approach, whereby organisations may collect, use or disclose personal data where such collection, use or disclosure of personal data is not expected to adversely impact individuals. It is proposed that organisations that wish to rely on this approach must provide appropriate notification to individuals, including information on how individuals may opt out of the collection, use or disclosure of personal data. Following the public consultation exercise, the PDPC stated in its response to the feedback received (published on 1 February 2018) that guidelines will be published at a future occasion to address the challenges in allowing individuals to opt out in circumstances where large volumes of personal data are instantaneously and seamlessly collected, such as data collected by sensors. As mentioned in question 13, the Cybersecurity Act establishes a framework for the cybersecurity of critical information infrastructure. Critical information infrastructure is defined as a computer or computer system that is necessary for the continuous delivery of an essential service, the loss or compromise of which will lead to a debilitating effect on the availability of the essential service in Singapore. Where the computer or computer system involved in big-data-related activities of organisations has been specifically designated as critical information infrastructure under the Cybersecurity Act, the provisions of the Cybersecurity Act will apply. There is no overarching law or regulation that requires data in general to be stored locally in Singapore. The PDPA, which governs the collection, use and disclosure of personal data in Singapore, does not require personal data to be stored locally in Singapore. However, organisations that wish to transfer personal data outside of Singapore would need to ensure that they fulfil certain requirements under the PDPA and its accompanying regulations, before such personal data may be transferred outside Singapore. Furthermore, specific types of data may be the subject of regulatory obligations requiring that they be stored in Singapore. For example, licensed telecom operators may be required to store call detail records in Singapore pursuant to their licence conditions. In 2014, the Singapore government officially announced its vision to transform Singapore into the world’s first ‘Smart Nation’. The Smart Nation Programme seeks to improve the quality of life for individuals and business opportunities for enterprises by harnessing the full power of information and communications technology, networks and data on a nationwide scale. Following the launch of the Smart Nation Programme, the Singapore government has introduced various initiatives to realise its vision. Since 2017, the Smart Nation Programme is centrally coordinated by the Smart Nation and Digital Government Group under the Prime Minister’s Office, and supported by other government agencies. One of the key initiatives of the Smart Nation Programme is the Smart Nation Platform (SNP), which is a key piece of infrastructure that will support the Smart Nation vision, by bringing together a nationwide sensor network and data analytics abilities. The key elements in the SNP include a nationwide communications and sensor network, as well as a Smart Nation Operating System. The operating system will undertake functions such as sensor management and facilitating the exchange of sensor data. Another initiative that the Singapore government is exploring is the concept of a nationwide ‘HetNet’, which will allow devices to stay seamlessly connected throughout Singapore by hopping automatically across wireless networks, such as cellular and Wi-Fi networks. In this regard, the IMDA is actively working with local mobile network operators and other industry players to conduct trials to validate technologies and capabilities of HetNet. In line with Singapore’s vision to become a Smart Nation, the Internet of Things Technical Committee has also developed four sets of technical standards to facilitate interconnectivity and interoperability of devices. These are the ‘Technical Reference for Sensor Network for Smart Nation (Public Areas)’ (first published in 2014), the ‘Technical Reference for Sensor Networks for Smart Nation (Homes)’ (first published in 2015), the ‘Technical Reference for Internet of Things Reference Architecture for Smart Nation’ (first published in 2016) and the ‘Technical Reference for Internet of Things Information and Services Interoperability for Smart Nation’ (first published in 2016). In 2017, the IMDA issued the following two sets of technical specifications that govern telecommunication equipment intended for sale and use in Singapore: ‘Technical Specification for Dedicated Short-Range Communications in Intelligent Transport Systems’ (published in October 2017) and the ‘Technical Specification for Internet of Things’ (published in November 2017). On 21 July 2017, the IMDA issued a Call for Submission for Digital Platforms to gather industry proposals from industry partners on solutions to catalyse the adoption of artificial intelligence (AI) and data science through platform-driven ecosystems. In its media release, the IMDA stated that it is looking to drive Singapore’s progress towards a digital economy for a Smart Nation, by collaborating with industry to drive sectoral digitalisation and catalyse the adoption of disruptive technologies. In this regard, the IMDA stated that it believes that the adoption of AI and data science will be a cornerstone of sectoral digitalisation. 45MHz, unpaired, in the 2.5GHz TDD band. This included spectrum that will be freed up upon completion of the digital TV switchover and the switching off of analogue TV signals (see question 24). Notably, the IMDA had decided that, as part of the spectrum allocation exercise, it would implement a framework to facilitate the entry of a new MNO into the Singapore market, in order to enhance innovation and competition in the mobile market. In this regard, the 2016/2017 spectrum auction was conducted in two stages: a new entrant spectrum auction (NESA), which was only open to qualified bidders (ie, potential new MNOs) who were not incumbent MNOs and not an associate of any incumbent MNO or of another qualified potential bidder; and a general spectrum auction (GSA), which was open to the incumbent MNOs and the successful bidder from the NESA. Potential new MNOs who were interested in participating in the NESA were required to participate in a pre-qualification exercise before they were allowed to participate in the NESA, in order to ensure that they are serious and possess the requisite capabilities to deploy the relevant networks. Following the pre-qualification stage, two successful applicants, MyRepublic and TPG Telecom, were allowed to proceed to the competitive bidding round in order to decide which of them would become Singapore’s fourth and newest telco. The successful new entrant bidder, TPG Telecom, made the winning bid of S$105 million and has been provisionally allocated 60MHz of spectrum (comprising 2 × 10MHz of spectrum in the 900MHz band and 40MHz of spectrum in the 2.3GHz TDD band) to establish a nationwide 4G network. TPG Telecom will serve as Singapore’s fourth MNO and will compete alongside the three incumbents in the mobile services market. In accordance with the terms of the auction, TPG Telecom will be required (among other regulatory obligations) to roll out its network for nationwide coverage (except road tunnel, in-building service and underground MRT stations/lines coverage) by 30 September 2018, road tunnel and in-building service coverage by 30 September 2019, and underground MRT stations/lines coverage by 30 September 2021. Bidding for spectrum in the quantity stage of the GSA took place between 30 March and 4 April 2017. Four parties, comprising the three incumbent MNOS and the new entrant, participated in the GSA, in which a total of 175MHz of spectrum was available for auction. At the conclusion of the GSA’s quantity stage, a total of S$1.14 billion in winning bids had been received by the IMDA. Subsequently, the assignment stage of the GSA for the 900MHz band and 2.5GHz band took place between 12 April and 19 May 2017. The IMDA will conduct the assignment for the 700MHz band nearer to the commencement date of the 700MHz spectrum rights. The fourth mobile network operator is expected to launch services in the second half of 2018. On 3 November 2017, the IMDA released the Industry Transformation Map (ITM) for the Infocomm Media (ICM) sector, outlining strategies to prepare Singapore for the digital economy. The ITM aims to grow the ICM industry’s value-add to the Singapore economy by around 6 per cent annually and expects the industry to employ more than 210,000 workers and create more than 13,000 new professional, managerial, executive and technical jobs by 2020.
thirdly, guiding companies and workforce from other sectors in adopting digital technology to improve productivity and efficiency. In this regard, the IMDA is working with various sectoral agencies to develop Industry Digital Plans to guide small and medium enterprises in technology adoption. On 17 January 2018, the IMDA commenced a public consultation exercise to seek public feedback on its proposed Telecommunication and Subscription TV Mediation-Adjudication Scheme. The consultation exercise closed on 21 March 2018. The proposed Telecommunication and Subscription TV Mediation-Adjudication Scheme will make it mandatory for certain designated or declared licensees to participate in alternative dispute resolution (ADR) with eligible customers. In its public consultation document, the IMDA proposes to require the participation of telecommunication and subscription TV service providers that have direct billing relationships with eligible customers for the provision of telecommunication and subscription TV services (service providers). The proposed Telecommunication and Subscription TV Mediation-Adjudication Scheme will include all telecommunication and subscription TV services for which a consumer would enter into service agreements, recurring billing arrangements or incur one-off charges with service providers. Eligible services are proposed to include: mobile services, fixed-line broadband internet access services, fixed-line services, subscription TV services and fibre connection services. As of the time of writing, the IMDA has yet to publish its final decision and its response to the feedback received. 5G technology and use: among other things, the estimated timeline for the deployment of 5G, what the key technologies for 5G are, and whether current regulatory frameworks sufficiently facilitate the deployment of such technologies. Below 1GHz frequency bands: among other things, whether there is a need for further spectrum below 1GHz to be identified and released for mobile services. 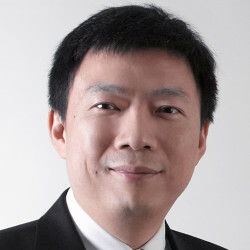 1-6GHZ frequency bands: among other things, the frequency arrangement that is suitable for adoption in Singapore for the L band, the timeline for access to the L band and the availability of the equipment, whether all of the 91MHz spectrum in the L band should be allocated for IMT to address Singapore’s data demand and growth, and whether there are other frequency bands in the 1-6GHz frequency band that the IMDA should consider for IMT/5G. Above 6GHZ frequency bands: among other things, the role mmWave bands will play in delivering 5G technologies, the amount of spectrum required in the mmWave spectrum bands to meet 5G applications that will require higher bandwidths and the specific mmWave bands that should be a priority in Singapore for IMT services. Future spectrum estimation: among other things, the estimated spectrum demand of 3,360MHz by 2025 and whether this estimate is realistic, and whether mmWave spectrum should be provided earlier than 2022 for commercial network deployment. Use of licence-exempt spectrum: among other things, whether there is a need for further technical requirements and regulatory measures to facilitate the sharing of licence-exempt spectrum in an efficient and fair manner. The 5G Consultation closed on 21 July 2017. As at the time of writing, the IMDA has not issued its final decision and response to the feedback received. On a related note, the IMDA announced that as of 23 May 2017, it would be waiving frequency fees for 5G technical trials and market trials with immediate effect until 31 December 2019, to promote greater technological innovation and allow more time for such trials to be conducted after the release of the first phase of 5G standards, which is expected to be in mid-2018. The IMDA is the statutory body responsible for broadcasting and content regulation (irrespective of the transmission medium) and the primary applicable legislation is the IMDA Act and the Broadcasting Act. The IMDA was formally established on 1 October 2016 as a converged regulator for the info-communications and media sectors. At present, the telecoms and media sectors continue to be governed by separate regulatory frameworks. Under the existing framework, ‘media’ is defined in the IMDA Act as referring to any film, newspaper, broadcasting service or publication (as defined in the Films Act, Newspaper and Printing Presses Act, the Broadcasting Act and the Undesirable Publications Act respectively). The Minister may further specify in the Gazette any other thing to be included under ‘media’. In respect of policy formulation, the IMDA consults a number of committees in creating and developing its regulatory framework. These include various programme advisory committees for broadcast programmes in different languages, and a number of other consultative panels. Their members are drawn from a cross-section of society and the media industry. Furthermore, under the existing framework at the time of writing, content and broadcasting regulation remain separate from infrastructure regulation. Therefore, firms should be mindful that they must comply with both the licensing and regulatory requirements imposed by the IMDA for content and broadcasting, as well as for the establishment and operation of any infrastructure. all or a majority of the persons having the direction, control or management of the company or its holding company are appointed by, or accustomed or under an obligation to act in accordance with the directions of, any foreign source. The Broadcasting Act contains ownership and control provisions that apply to broadcasting companies as defined therein. A ‘broadcasting company’ is a Singapore-incorporated company or Singapore branch office that holds a ‘relevant licence’. A relevant licence refers to any free-to-air licence, or any broadcasting licence under which a subscription broadcasting service may be provided, that permits a broadcast capable of being received in 50,000 dwelling houses (which is defined to include hotels, inns, boarding houses and other similar establishments) or more. In addition, the Minister may designate any other broadcasting licence as a relevant licence on public interest or national security grounds. A class licence will not be considered a relevant licence. Under the Broadcasting Act, no person may, on or after 2 September 2002, become a substantial shareholder, a 12 per cent controller or an indirect controller of a broadcasting company without first obtaining the approval of the Minister. The term ‘substantial shareholder’ is defined under section 81 of the Companies Act and generally refers to a person who has an interest in not less than 5 per cent of the voting shares in a company. The terms ‘12 per cent controller’ and ‘indirect controller’ are defined in section 36 of the Broadcasting Act. Pursuant to section 33(2) of the Broadcasting Act, unless the IMDA approves otherwise, the CEO of a broadcasting company and at least half of its directors must be citizens of Singapore. A broadcasting company may request to be exempt from this requirement, and exemptions have been made by the Minister. Notably, the category of niche subscription television licensees has been exempted from all foreign ownership restrictions (see question 23). Broadcasting licensees that are regulated persons (within the meaning of section 2 of the IMDA Act) are subject to the provisions on consolidations and mergers in the IMDA Act and the Media Market Conduct Code (MMCC) (see question 28). No regulations specifically prohibit the cross-ownership of media companies, including radio, television and newspapers. Such mergers and acquisitions between media companies are regulated by the IMDA. The prior written approval of the IMDA is required for all consolidations or mergers between a regulated person (as defined in the IMDA Act) and another regulated person, or any other person (not being a regulated person) carrying on business in the media industry (section 65 of the IMDA Act). Paragraph 8 of the MMCC details the IMDA’s regulation of such consolidation activities. Intra-group consolidations are exempted from the requirement to obtain the IMDA’s approval under paragraph 8.2 of the MMCC. Under section 5 of the Broadcasting Act, the IMDA may grant two types of licences: broadcasting licences and broadcasting apparatus licences. S$1,000 per year for a television receive-only (TVRO) licence (per satellite dish). For a temporary TVRO licence, the licence fee is $100 per dish for a period of up to 30 days. Section 8(2) of the Broadcasting Act provides that a broadcasting licence must be in such a form and for such a period and may contain such terms and conditions as the IMDA may determine. The Broadcasting Act sets out certain conditions that licensees must comply with, such as compliance with the IMDA’s codes of practice and certain public service broadcasting obligations. Templates of such licences are not publicly available. The IMDA has not indicated publicly how long it will take to process all licence applications. Generally speaking, applicants may need to factor in several weeks for their applications to be processed, depending on whether all the information required for the IMDA’s evaluation purposes has been submitted. For more complex or novel applications, the IMDA may take longer. computer online services that are provided by internet content providers and ISPs. A company wishing to provide a licensable broadcasting service that is subject to the class licence regime must register with the IMDA. In particular, audio-text service providers and ISPs must register with the IMDA within 14 days of commencing the service. The IMDA’s guidelines state that a completed application will be processed within four working days. S$100 (per premise) for the provision of computer online services by a localised internet service reseller. The fees payable for the services not mentioned in the Broadcasting (Class Licence) Notification are not publicly available. If broadcasting infrastructure is to be deployed, a separate licence from the IMDA may also be required (see question 2). To install, import, sell or operate any broadcasting apparatus in Singapore, a person must obtain a licence from the IMDA under section 20 of the Broadcasting Act. This requirement applies to apparatus currently listed under the First Schedule to the Broadcasting Act (ie, TVRO system). The IMDA retains the discretion to exempt any person or broadcasting apparatus (or class thereof) from this licence requirement. There are no express regulations concerning the broadcast of foreign programmes, irrespective of media type. Such broadcasts are, however, subject to paragraph 16 of the Schedule of the Broadcasting (Class Licence) Notification that states that an internet content provider licensee shall remove or prohibit the broadcast of the whole or any part of a programme included in its service if the IMDA informs the licensee that its broadcast is against the public interest, public order or national harmony, or offends good taste or decency. drama and sports programmes produced in Singapore. Further, free-to-air television and subscription television broadcasting licensees may be subject to programme codes issued by the IMDA containing programming and content guidelines, such as the Content Code for Nationwide Managed Transmission Linear Television Services and the Content Code for Over-the-Top, Video-on-Demand and Niche Services. Generally, programme codes will contain guidelines congruent with national objectives, uphold racial and religious harmony, observe societal and moral standards and promote positive family values. Section 19 of the Broadcasting Act also provides for a must-carry obligation (see question 22). At present, stricter content standards are applied to advertisements in public places (in view of their unsolicited viewing) and in media that have a wider impact on the general public, such as advertisements on TV. The Advertising Standards Authority of Singapore (ASAS) lays down broad industry codes and guidelines. The Singapore Code of Advertising Practice (SCAP) is reviewed periodically by the ASAS, and was most recently updated in 2015. The basic premise of the SCAP is that all advertisements should be legal, decent, honest and truthful. The SCAP applies to all advertisements for any goods, services and facilities appearing in any form or any media, including online advertisements in information network services, electronic bulletin boards, online databases and internet services. The SCAP seeks to promote a high standard of ethics in advertising through self-regulation against the background of national and international laws and practices, including the International Code of Advertising Practice published by the International Chamber of Commerce. In August 2016, the ASAS also issued ‘Guidelines for Interactive Marketing Communication & Social Media’ (Interactive and Social Media Guidelines), which set out standards for advertising and marketing communication that appear on interactive and social media. The Interactive and Social Media Guidelines set the standard of ethical conduct that are to be adopted by all marketers, establish the levels of disclosure that are required of sponsored messages that appear on social media, prohibit false reviews and engagement, and dictate the clarity of the purchase process in e-commerce. Between November 2017 and January 2018, the ASAS conducted a public consultation seeking post-implementation feedback on the Interactive and Social Media Guidelines. In particular, it sought feedback on the implementation of the guidelines, and areas where the guidelines might be fine-tuned or updated. At the time of writing, the ASAS has not published its response to the feedback received. Alongside the ASAS, the IMDA also plays a role in guiding the advertising industry when the need arises. For TV broadcasts, the IMDA issues advertising codes to broadcasters, which are stricter than those for the print media due to the wider reach of television broadcasts. The IMDA has issued the Television and Radio Advertising and Sponsorship Code (the Advertising Code), which aims to protect the interests of viewers as consumers and require advertisements to be truthful, lawful and not to contain any misleading claims. All claims and comparisons must be capable of substantiation. The Advertising Code requires advertisements to respect public taste and interests and uphold moral and social values. Among other things, the Advertising Code also stipulates that broadcasters should exercise discretion when scheduling advertisements and trailers to ensure that these are appropriate for the viewing audience. With regard to holders of class licences, paragraph 16 of the Schedule to the Broadcasting (Class Licence) Notification states that a licensee shall remove or prohibit the broadcast of the whole or any part of a programme included in its service if the IMDA informs the licensee that its broadcast is against the public interest, public order or national harmony, or offends good taste or decency. In the case of online advertising, internet content providers and ISPs are considered class licensees and must also comply with paragraph 16 of the Schedule to the Broadcasting (Class Licence) Notification. In addition, paragraph 13(a) of the same requires licensees to comply with the IMDA’s codes of practice. In this respect, the IMDA-administered Internet Code of Practice requires class licensees to use their best efforts to ensure that prohibited material is not broadcast over the internet to users in Singapore. Examples of prohibited material include, without limitation, content that endorses ethnic, racial or religious hatred, strife or intolerance, and material that depicts extreme violence. Internet content providers and ISPs must also ensure that these advertisements are in line with the SCAP. Separately, the Undesirable Publications Act prevents the importation, distribution or reproduction of undesirable publications. This may include advertisements that are accessible by computers or other electronic devices, such as online advertisements. The Broadcasting Act provides for a must-carry obligation. Under section 19 of the Broadcasting Act, the IMDA may require a broadcasting licensee to provide for transmission and reception of any broadcasting service that is provided by any other person or that is specified in its licence (see below for details). Currently, must-carry obligations are imposed on all nationwide subscription TV licensees to allow their subscribers to access all local free-to-air channels on their network (see question 23). Paragraphs 2.1.5 and 2.7 of the MMCC establish a cross-carriage measure for the pay-TV sector, under which a mandatory obligation is imposed upon all licensed subscription television service providers who acquire exclusive broadcasting rights to any channel or programming content (supplying licensees) to provide such channels or content for cross-carriage on the pay-TV network of other subscription nationwide television service providers, who are in turn obliged to carry such channels and content on all ‘relevant platforms’ (as defined in paragraph 2.3(ea) of the MMCC) in their entirety, without any alteration or degradation in quality. A relevant platform means a managed network over or using any (or any combination of) hybrid fibre coaxial, optical fibre or asymmetric digital subscriber line. Supplying licensees may stand to benefit from an increased subscriber base, as the MMCC requires that any consumer accessing such cross-carried content shall, for billing and operational purposes, also be considered a subscriber of the supplying licensee. The mandatory cross-carriage obligation applies to all exclusive channel and content arrangements signed or renewed on or after 12 March 2010. Under paragraph 2.4 of the MMCC, free-to-air television and radio licensees (and any other person as the IMDA may direct) must comply with the IMDA’s requirements regarding the broadcast of events that are of national significance. The IMDA will provide written notification to free-to-air television and radio licensees regarding the events of national significance that they are to broadcast. The IMDA will generally designate only very select events as events of national significance that are to be broadcast live or delayed. The IMDA may specify additional events or remove existing ones. If it is not desirable for more than one entity to locate cameras and other equipment at the site of such an event, the IMDA may select a broadcaster to be the sole broadcaster for the event (the lead broadcaster), or conduct a competitive tender for the position. The lead broadcaster must make the feed from the event available to all free-to-air television and radio licensees and any other person that the IMDA specifies. Any television or radio licensee that receives the feed from the lead broadcaster has an obligation to compensate the lead broadcaster for reasonable costs that are not otherwise compensated (eg, through government subsidies) incurred by the lead broadcaster in providing the television or radio licensee with the feed. The IMDA adopts a two-tier licensing framework for the provision of internet protocol television (IPTV) services in Singapore: nationwide subscription TV licence and niche subscription TV licence (niche licence). The niche licence is a newer type of licence designed to facilitate the growth of IPTV and other novel services in Singapore by offering operators greater flexibility to roll out services for different market segments, with less onerous regulatory obligations. In particular, the niche licence does not impose any ownership or must-carry obligations on the licensee. Niche licence holders are restricted to transmitting any single channel to up to 100,000 unique viewers in Singapore and transmitting to up to 250,000 unique viewers (including transmission by its related corporations). Such licensees will also be subject to the usual advertising time limits for scheduled programming and programme content codes for subscription and VOD programmes. The nationwide subscription TV licence applies to operators targeting the mass market (ie, more than 100,000 unique viewers daily for a single channel). The first nationwide IPTV licence was awarded to SingNet Pte Ltd (SingNet) in January 2007 for the provision of its mio TV service, which has since been renamed Singtel TV. Licence applicants are free to decide which licence tier they wish to operate under. Importantly, trial licences are also available for the provision of IPTV services (temporary subscription TV licences). This allows applicants to conduct marketing or technical trials prior to the commercial launch of their service. Key licence conditions include a licence period of six months and a licence fee of S$2,500, and no performance bond is required. daily reach of broadcaster reaches up to 250,000 unique viewers. This threshold applies to related corporations. No limit to the number of subscribers in Singapore. 2.5 per cent of total revenue. A minimum licence fee of S$5,000 per annum will be applicable throughout. 2.5 per cent of total revenue. A minimum licence fee of S$50,000 per annum will be applicable throughout. S$50,000, in the form of either banker’s guarantee or cash. S$200,000, in the form of either banker’s guarantee or cash. Subject to the ownership conditions as stipulated in part X of the Broadcasting Act. Must-carry obligations for enabling access to local free-to-air channels are applicable for subscribers. No cap on advertising revenue. Advertising revenue not to exceed 25 per cent of total revenue. 14 minutes per hour advertising time limit applies for channels with scheduled programming. The 14 minutes advertising time limit is not applicable for VOD content and interactive advertising services. Subscription TV programme code applies if scheduled programmes are offered, while VOD programme code applies if on-demand programmes are offered. From 1 June 2013, online news sites that report regularly on issues relating to Singapore and have significant reach among local readers will be required by the IMDA to obtain an individual licence, placing them on a more consistent regulatory framework with traditional news platforms that are already individually licensed. Under the licensing framework, online news sites will be individually licensed if they report an average of at least one article per week on Singapore news and current affairs over a period of two months, and are visited by at least 50,000 unique IP addresses from Singapore each month over a period of two months. These sites were previously automatically class-licensed under the Broadcasting Act. Presently, when the IMDA has assessed that a site has met the criteria to be individually licensed, the IMDA will issue a formal notification, and work with the site to move it to the new licensing framework. The IMDA has stated that it does not expect any changes in content standards to result. Individually licensed news sites will be expected to comply within 24 hours to the IMDA’s directions to remove content found in breach of content standards, and will be required to put up a performance bond of S$50,000, which is consistent with the sum required of niche TV broadcasters. In June 2012, the then Media Development Authority (now IMDA) announced that all free-to-air channels would be transmitted digitally by the end of 2013 using the DVB-T2 (digital video broadcasting - second generation terrestrial) broadcasting standard. In this regard, the nationwide free-to-air broadcaster MediaCorp announced that it would transmit all free-to-air channels in digital format from December 2013. To ensure a smooth switchover, there is currently a simulcast period during which all free-to-air channels will be broadcast in digital and analogue until the switchover is fully completed. In January 2016, the MCI, which is the parent ministry overseeing the IMDA, announced that it aimed to complete the switchover and to switch off analogue broadcasting by the end of 2017. The MCI further announced that it expects the freed-up spectrum to provide more capacity for mobile broadband and better support Smart Nation development (see question 16). In this regard, the IMDA, which administers the allocation of RF spectrum, included freed up spectrum in the 2016/2017 spectrum allocation exercise for mobile broadband services (see question 16). In November 2017, the Singapore government announced a further one-year extension of the cessation of analogue broadcast from end-2017 to end-2018. The IMDA has further stated that the purpose of this extension is to give households more time to make the switch from analogue to digital broadcasting. In light of the latest timeline announced, all broadcast free-to-air TV programmes will be exclusively shown in digital format from 1 January 2019. The IMDA’s Spectrum Management Handbook explains that planning and channelling of the broadcasting spectrum is carried out at the international level (ITU), regional level (Asia-Pacific Broadcasting Union, ABU) and bilateral levels (ie, border coordination with neighbouring countries). As such, there are only a certain number of channels in each broadcasting band that can be used in Singapore. The usage plans for broadcasting services have already been established. With the advent of digital broadcasting, the IMDA has also planned the spectrum allocations for both digital audio and digital video broadcasting. To provide broadcasting services, a broadcast service licence and a broadcasting station licence are required from the IMDA. Singapore does not currently have a formal process or framework in place to assess media plurality. In November 2017, the Singapore government announced that analogue broadcasting will be switched off by the end of 2018, thus completing the switchover from analogue to digital broadcasting. Following the current timeline, all broadcast free-to-air TV programmes will be shown exclusively in digital format from 1 January 2019 (see question 24 for more information on the digital switchover). Between November 2017 and January 2018, the ASAS conducted a public consultation to seek post-implementation feedback on its ‘Guidelines for Interactive Marketing Communication & Social Media’. The guidelines were previously issued by the ASAS on 29 August 2016, in order to set standards on advertising and marketing communication that appear on interactive and social media. The guidelines are meant to be read with the rest of the SCAP, which applies to advertisements generally (see question 21). In its latest consultation, the ASAS sought feedback from members of the public and the industry on their experiences with implementing the guidelines, as well as suggestions on where the guidelines could be fine-tuned or updated. At the time of writing, the ASAS has yet to publish its response to the feedback received. On 27 February 2018, the Films (Amendment) Bill (Bill No. 10/2018) (Films (Amendment) Bill) was passed in Parliament. The passage of the bill followed the close of a month-long public consultation that was held in December 2017.
seize any film, advertisement for a film, document, or equipment that is used in the commission of such offences, and that the officer reasonably suspects is evidential material. On 29 November 2017, the IMDA (together with the Ministry of Manpower, National Trades Union Congress and Singapore National Employers Federation) released a new Tripartite Standard on the Procurement of Services from Media Freelancers (Media Freelancers Standard). The Media Freelancers Standard sets out best practices for companies to adopt, in order to achieve a fairer and more progressive workplace that better supports media freelancers. companies should offer workplace protection for media freelancers through insurance for production equipment, commercial general liability and work-related accidents. While adoption of the Media Freelancers Standard is not mandatory, starting from 1 April 2018, companies must adopt the Media Freelancers Standard in order to qualify for IMDA media grants and funding for Public Service Broadcast content. how Singapore can prevent and combat online falsehoods, including: the principles that should guide Singapore’s response; and any specific measures, including legislation, that should be taken. The committee will hold public hearings to consider information presented by experts, industry stakeholders and the public. It has also invited members of the public to submit their views and suggestions on the matter. The committee is expected to report on its findings in due course. The IMDA was officially formed on 1 October 2016 as a converged regulator for the info-communications and media sectors, following the restructuring of the IDA and the MDA. At present, the telecoms and media sectors continue to be governed by separate regulatory frameworks. Under the existing regulatory framework, competition issues in the telecoms and media sectors may be governed by sector-specific rules as administered by the IMDA. In this regard, the Competition Act, which establishes the general competition law and is administered by the CCCS, provides that it does not apply insofar as another regulatory authority (other than the CCCS) has jurisdiction in a particular competition matter. Accordingly, the CCCS does not have jurisdiction over competition issues that fall under the purview of the IMDA. The IMDA has issued the TCC, which regulates competition in the provision of telecoms services. Section 10 of the TCC (relating to consolidations and merger control), together with part VA of the Telecoms Act at the end of 2011, sets out a merger review framework for the telecoms sector. With regard to the media sector, the IMDA has issued the MMCC, which provides for market conduct and competition rules applicable to the media industry only. As mentioned above, in light of the establishment of the IMDA as a converged info-communications media regulator, further details of changes to the existing regulatory framework may become available in due course. Under section 69 of the Telecoms Act, any telecoms licensee aggrieved by an IMDA decision or direction, or anything in any code of practice or standard of performance, and certain other aggrieved persons, may request the IMDA to reconsider the matter or appeal to the Minister, who may confirm, modify or reverse the same. Where a reconsideration request and an appeal have been simultaneously filed, the IMDA will reconsider the matter and the appeal to the Minister will be deemed withdrawn. Under section 68 of the IMDA Act, any person aggrieved by any act, direction or decision of the IMDA under Part 7 of the IMDA Act may appeal to the Minister, who may confirm, vary or reverse the same. Under section 59 of the Broadcasting Act, any licensee aggrieved by any decision of the IMDA in its discretion under the Broadcasting Act, or anything contained in any code of practice or direction issued by the IMDA, may appeal to the Minister, who may confirm, vary or reverse the decision or direction, or amend the code of practice. An aggrieved person who has unsuccessfully appealed to the Minister may also be able to mount a further challenge by commencing an action for judicial review in the courts. The 2016/2017 spectrum auction was the most significant spectrum auction allocation exercise in years as it was intended to introduce a new MNO to bring greater competition and service innovation in the mobile market. The successful new entrant bidder, TPG Telecom, made the winning bid of S$105 million to become Singapore’s fourth and newest telco, and will compete alongside the three incumbents in the mobile services market. TPG Telecom is expected to launch services in the second half of 2018 (see question 16 for more information on the entry of the new mobile network operator). In 2017, the IMDA conducted a review to amend certain sections of the NetCo Interconnection Code to ensure the relevance of the pricing principles. The NetCo Interconnection Code is intended to specify the pricing, terms and conditions of the NetCo’s services under its ICO, and the obligations of the NetCo and persons requesting such services (see question 11). The revised NetCo Interconnection Code came into effect on 7 April 2017. Similarly, in 2017, the IMDA also conducted a review of the OpCo Interconnection Code to ensure the relevance of the pricing principles. The OpCo Interconnection Code is intended to specify the pricing, terms and conditions of the OpCo’s services under its ICO, and the obligations of the OpCo and persons requesting such services (see question 11). The revised OpCo Interconnection Code came into effect on 21 November 2017.